In the surf zone getting knocked off your perch can be fatal. Residents of the rocky intertidal solve the connection conundrum in different ways, but they each find a way to handle the pounding surf without losing their grip. 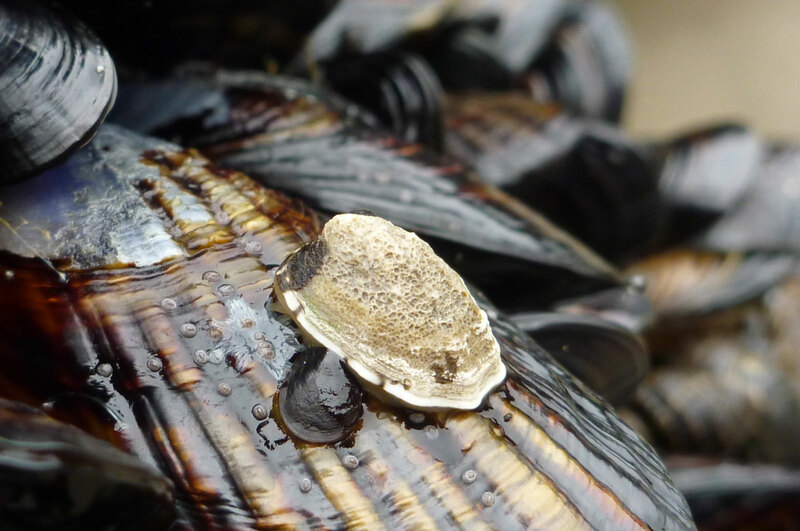 Are those really tiny limpets or young barnacles on the surface of that mussel. They are so small that at first I thought that they were bubbles. Yep, tiny barnacles. I didn’t even notice them until I checked out the photo.